Doug has worked for 33 years in the field of engineering seismology, specializing in the analysis of seismic effects from blasting, pile driving, dynamic compaction, seismic operations, traffic, and industrial vibrations. He has observed, recorded, and analyzed the effects of vibrations on various types of structures throughout the United States and abroad. Doug also completed many damage claim investigations regarding alleged damage to commercial and residential structures from various vibration sources as well as alleged damage to residential wells and aquifers resulting from blasting. He has provided expert testimony for environmental hearing boards, zoning boards, state and local regulatory agencies and various courts in the fields of blasting, geophysics, geology, and seismology with particular emphasis on blasting, and vibration standards, the effects of vibration on structures and construction materials, and the effects of vibration on commercial and domestic water supplies. Doug has been invited by MSHA, ISEE, Fire Marshalls Association, NSSGA, NY Department of Labor, and commercial explosive companies to lecture blasters, engineers, and regulators on fundamental seismology, proper field practices for seismograph use, the effects of ground vibration and air overpressure on structures, and vibration control through blast design. He is also a member of the International Society of Explosive Engineers – Standards Committee. One of the tasks of this committee is to develop and update uniform and technically appropriate standards for blasting seismographs. Doug has also performed investigations for several insurance companies regarding alleged damage to residential wells and aquifers resulting from blasting operations. In 1993, Doug provided testimony on behalf of the Pennsylvania Council of Professional Geologist at public hearings pertaining to Senate Bill 351 which provides for the conservation and management of water resources within the Commonwealth. Developing vibration criteria at the Philadelphia Museum of Art to ensure existing exhibits such as painting, structures, and other historic artifacts remained safe during planned demolition and ongoing construction. 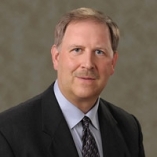 Doug is currently Vice President & Northeast Regional Manager for Vibra-Tech Engineers, Inc. He is responsible for the direction and supervision of Vibra-Tech’s professional staff in three offices located in the Northeastern United States. Doug is also a Senior Geophysicist and Manager of the Technical Services Group at the corporate headquarters of Vibra-Tech Engineers, Inc. in Hazleton, Pennsylvania. As manager of this group, Doug directly oversees four full-time employees. His responsibilities include the management and planning of all geophysical investigations, including budgetary monitoring and major technical decisions, scheduling, and staff management. He is also responsible for reviewing technical calculations, drawings, figures, maps; preparation of final reports; and client contact. Doug has used a wide variety of geophysical techniques on various environmental and geotechnical projects throughout the Northeast. Projects he has managed include the use of geophysical techniques in dam site investigations; foundation studies for power plant facilities; subsurface investigations for highway and utility alignments; geophysical and geological investigations for mining, quarrying, and dredging operations; investigations of subsurface conditions related to new and existing landfill facilities; delineation of contamination plumes; detection of buried waste; and the use of geophysical techniques in mine subsidence, sinkhole, and tunnel investigations. Doug is also responsible for the development and planning of all Iso-Seismic and Vibra-Map surveys performed by Vibra-Tech. The Iso-Seismic system is an array of 170 digital seismometers deployed around a quarry site to measure blast vibrations. The data is used to pinpoint chronic vibration areas around the quarry that may be related to the geology. Vibra-Map calculations are then employed to determine the proper firing time to use for a production blast in order to produce a vibration signal that minimizes structural response. Doug oversees the planning of these surveys, budgetary monitoring, scheduling and staff management, and review of final reports. Other projects Doug has been responsible for include the development of a recording system, procedures, and analysis for several environmental impact studies involving the measurement and prediction of traffic vibrations on structures adjacent to proposed highway alignments. Doug has also been involved in two different research projects sponsored by the U.S. Bureau of Mines. In 1985 he assisted with the collection and reduction of geophysical data for a mining research contract entitled “Geologic Factors Affecting Vibration from Surface Mine Blasting.” The aim of this study was to determine the effect of local geology on ground vibration and test methods of choosing the proper delay interval such that blast vibrations would destructively interfere. In 1987, Doug was responsible for the acquisition and reduction of all geophysical data collected for a three-year research contract entitled “Design and Implementation of a Monitoring System to Detect Imminent Subsidence in the Anthracite Region of North Eastern Pennsylvania.” The goal of this study was to develop a geophysical method that could assess the condition of the subsurface prior to a subsidence event and use this relationship to understand the reaction of the subsurface preceding the subsidence. Seismic techniques were judged to be the most insensitive due to the urban nature of the sites and most closely related to the physical and material properties of the subsurface. “Monitoring and Advanced Evaluation Techniques for Aggregate Mining in Urban Settings” with Jeffery Straw, Proceedings of the 2011 Society of Mining Engineers Annual Meeting, Denver, CO (2011). “Particulate Matter as an Air Pollutant, Past, Present, and Future” with Jonathan Ferdinand, Proceedings of the 5th Biennial Blasting Vibration Technology Conference, Key West, FL (2004). “The Court of Public Opinion: Winning Through Science” with Philip Berger, Jr., AggMan, Pages 47-49, February 2002. “Blasting Near Domestic Water Supplies – Facts and Myths”, Proceedings of the 4th Biennial Blasting Vibration Technology Conference, Key West, FL (2002). “Airblast – An Often Overlooked Cause of Structural Response”, Proceedings of the 10th Hi-Tech Seminar on Blasting Technology, Instrumentation and Explosives Applications, Nashville, TN (2001). “Diagnosing and Solving Blasting Problems”, Aggregates Manager, Pages 25-30, July 2000. “An Analytical Approach for Diagnosing and Solving Blasting Complaints” Proceedings of the 9th Hi-Tech Seminar on Blasting Technology, Instrumentation and Explosives Applications, Orlando, FL (2001). “Structural Response – The Primary Cause of Blasting Complaints”, Proceedings of the 3rd Biennial Blasting Vibration Technology Conference, Key West, FL (2000). “Understanding Blast Vibrations – A Key to Gaining Control”, Proceedings of the 2nd Annual Blasting Vibration Technology Conference, Key West, FL (1998). “Blast Vibrations – Planning for the Future”, Proceedings of the 2nd Annual Blasting Vibration Technology Conference, Key West, FL (1998). “Engineering Geophysics for the Mining and Construction Industries”, Proceedings of 8th Hi-Tech Seminar on Blasting Technology, Instrumentation and Explosives Applications, Nashville, TN (1998). “Optimizing Seismic Characterization of Longwall Coal Mine Overburden Using CAD and Computer-Enhanced Techniques: Case Study from Longwall Mining Operations, Western Maryland, USA” with K. Kluger Cohen and M.A. Trevits, Proceedings from the Third Canadian Conference on Computer Applications in the Mineral Industry, Montreal, Canada (1995). “Concepts of Seismic Refraction Processing”, Special Compilation for Bobby Timmons used in ”Prospecting for Natural Aggregates: An Update; Rock Products, Pages 32-33, January, 1995. “Seismic Refraction Technique Applied to Highway Design in a Strip Mined Area of Southwestern Pennsylvania” with W.M. Lorence, H.D. Ackermann, Proceedings of the 42nd Annual Highway Geology Symposium, Albany, NY (1991). “P-wave and S-wave Velocity Measurements Related to Subsidence Over a Longwall Mine” with J.S. Walker, A.M. Richardson, H.D. Ackermann, and J.W. Reil, Proceedings of the 59th Annual Meeting of the Society of Exploration Geophysicists, Dallas, TX (1989). “Use of Geophysical Methods in a Geotechnical Investigation” with K.H. Early, Proceedings of the 2nd International Conference on Case Histories in Geotechnical Engineering, St. Louis, MO (1988). Mr. Rudenko along with Mr. M. Sharifinassab developed and taught a short course for the Pennsylvania Council of Professional Geologists entitled “Vibration Measurement & Analysis”. The course awarded 7.5 PDH’s toward the annual continuing education requirements for licensure of professional geologists. 2017 Eastern Analytical Symposium, “A Blueprint for Managing Construction Vibration Risk Near Sensitive Strucutres”, Plainsboro, NJ. 2016 AGG1 Accademy – NSSGA 2016 Annual Convention, “Why are my Neighbors Complaining about Blasting and What Can I do About it?”, Nashville, TN. 2016 Re:Con 2016, “A Technical Look at the Influence of Geology on Ground Vibration and its Effect on Structural Response”, Key West, FL. 2013 119th Annual Meeting, Exposition & Short Course for Northwest Mining Association, “Blasting-Finding Trouble Before It Finds You”, Reno, NV. 2013 39th Annual Conference on Explosives and Blasting Technique, “Blasting Near Buried Pipelines” , Blaster’s Weekend Short Course, Fort Worth, TX. 2013 Ohio Drilling and Blasting Conference, “Effects of Blasting on Water Wells”, Columbus, OH. 2013 AGG1 Academy – NSSGA 2013 Annual Convention, “Monitoring and Advanced Evaluation Designs for Aggregate Mining”, San Antonio, TX. 2012 20th Annual BME Drilling and Blasting Conference, “Data Storage for Mine Management”, Pretoria, South Africa. 2011 38th Annual Kentucky Blasting Conference, “Controlling Structure Response to Reduce Blasting Complaints”, Lexington, KY.
2011 Fifteenth Pennsylvania Blasting Conference, “The Development of a Blasting Vibration Criteria for a Sand Dyke in Suriname, South America”, University Park, PA.
2010 AGG1 Academy – NSSGA 2010 Annual Convention, “Public Perception Through Blast Design”, Cincinnati, OH. 2009 West Virginia Department of Environmental Protection Annual Blaster Refresher Training, “Controlling Ground Vibrations and Air Overpressure with Seismograph Measurements”, South Charleston, WV. 2008 35th Annual Kentucky Blasting Conference, “Controlling Ground Vibration and Air Overpressure with Seismograph Measurements”, Lexington, KY.
2007 6th Blasting Vibration Technology Conference, “New Electronic Detonator Applications”, Key Largo, FL. 2007 National Stone, Sand, and Gravel Association, Effective Drilling and Blasting Seminar, “Controlling the Effects of Blasting”, Chantilly, VA.
2007 15th Annual Conference Explosives, Drilling and Blasting Techniques, “Influencing the Court of Public Opinion – Dual Measurement Monitoring”, Johannesburg, South Africa. 2004 Symposium: State of the Art Techniques for Monitoring and Protecting Historic Structures, “Protecting Historic Structures During Construction Activity”, Columbia University, New York, NY. 2004 Risk Management Workshop, “Managing Risk through Public Perception”, New York Construction Materials Association, Albany, NY. 2003 Plant Operations Workshop, “Vibration Control Techniques”, Pennsylvania Aggregates and Concrete Association, Grantville, PA.
2001 Tenth Pennsylvania Blasting Conference, “Water Well Damage Claims – Facts and Fiction”, University Park, PA.
2001 Blasting Analysis International, Inc. Tenth High-Tech Seminar, “Airblast – An Often Overlooked Cause of Structural Response”, Nashville, TN. 2001 Mine Blasting Safety and Application Seminar, “An Analytical Approach for Diagnosing and Solving Blasting Complaints”, National Mine Health and Safety Academy, Beckley, WV. 2000 3rd Biannual Blasting Vibration Technology Conference, “Structural Response: The Primary Cause of Blasting Complaints’’, Key West, FL. 2000 Blasting Analysis International, Inc. Ninth High-Tech Seminar, “An Analytical Approach for Diagnosing and Solving Blasting Complaints”, Orlando, FL. 1999 National Stone Association, Effective Drilling and Blasting Seminar, “Vibration Control & Public Relations”, Philadelphia, PA.
1999 Georgia Crushed Stone Association – Technology Conference on Blast Vibrations: Structure & Human Response “Diagnosing and Controlling Dynamic Geologic Response”, Atlanta, GA.
1998 2nd Annual Blasting Vibration Technology Conference, “Understanding Blast Vibrations — A Key to Gaining Control’’, Key West, FL. 1998 2nd Annual Blasting Vibration Technology Conference, “Blast Vibrations — Planning for the Future’’, Key West, FL. 1998 Blasting Analysis International, Inc. Eight High-Tech Seminar, “Engineering Geophysics for the Mining and Construction Industries”, Nashville, TN. 1998 Geological Society of America Annual Meeting, “A Multi-Media Field Laboratory and the Development of an Undergraduate Methods Training Course in Subsurface Hydrogeology”, Toronto, Ontario. 1997 Eighth Pennsylvania Blasting Conference, “Advancements in Vibration Prediction and Control”, University Park, PA.
1997 XXIII Convencion De Ingenieros De Minas Del Peru, “A Down to Earth Approach to Vibration Prediction and Control”, Arequipa, Peru. 1997 1st Annual Blasting Vibration Technology Conference, “Advancements in Vibration Prediction and Control”, Key West, FL. 1996 Society of Explosive Engineers – Great Plains Chapter, “Innovative Techniques for Understanding and Controlling Ground Vibrations from Production Blasting Operations”, St. Louis, MO. 1996 National Stone Association, Effective Drilling and Blasting Seminar, “Vibration Control & Public Relations”, Albany, NY. 1994 Society of Explosive Engineers – Potomac Chapter, “A Technique to Evaluate the Subsurface for Pre-Bid Estimating”, Sterling, VA.
1993 American Society of Civil Engineers – Knoxville Chapter, “Seismic Techniques for Civil Engineers”, Knoxville, TN. 1993 Sixth Pennsylvania Blasting Conference, “An Unconventional Technique to Eliminate Pre-Bid Guesswork”, University Park, PA.
1985 Second Pennsylvania Blasting Conference, “Prediction and Control of Blast-Induced Ground Vibration: A Scientific Approach”, University Park, PA.